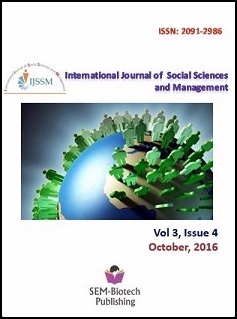 In this paper we are examines the structure change and population growth trend in Uttar Pradesh. Uttar Pradesh is the most populous state in the country, accounting for 16.4 percent of the country’s population. The structure of state income shows that the contribution of primary sector has declined to 41 percent of the state income, though the sector still sustain 73 percent of the total working force. Availability of land & natural resource and environment play an important role in the development of any country or states. But utilization of these resources and best use of economic development is possible only by people. People are searching and best utilize these natural resources according to their needs. The demographics population of Uttar Pradesh is a multifarious subject, which is undergoing dynamic change. To understand the population it is very important to understand its all charterstic in which age composition has an important role. The working population and work participation rate highlights the occupational distribution of a states. The information is essential for calculating state domestic product at factor cost popularly known as “State Income” for important tertiary sectors by adopting statistical methods of interpolation/extrapolation. The generally well performing states are Kerala, Delhi, Himachal Pradesh, Goa, and Punjab, which occupy the first five places in the years. On the other hand, Bihar, Jharkhand, Madhya Pradesh, Uttar Pradesh, Orissa, Rajasthan, and Chhattisgarh appear at the bottom of the list in the years. Thus, despite some catching-up witnessed in the states with low human development, the progress has not been rapid enough to change the inter se ranking radically.